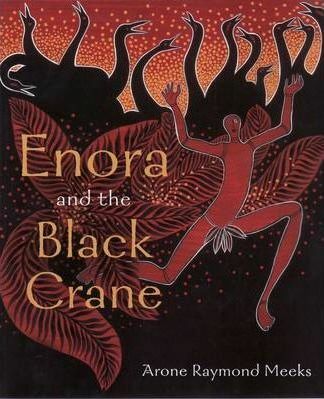 A traditional story based on Arone Meeks' knowledge of the bush, the spirits who lived there and their laws as taught to him by his grandfather, a member of the Kokoimudgji tribe in Queensland. Enora lives with his family in a tropical rainforest. The natural world is being created and Enora's people are surrounded by delicious bush foods and amazing animals. When Enora discovers a shimmering rainbow of colour flying through the forest, his curiosity overwhelms him and he sets out to discover its meaning. Arone Raymond Meeks is an award-winning author and illustrator of several children's books. He was awarded the Ezra Jack Keats UNICEF International Children's Book Award in 1992.